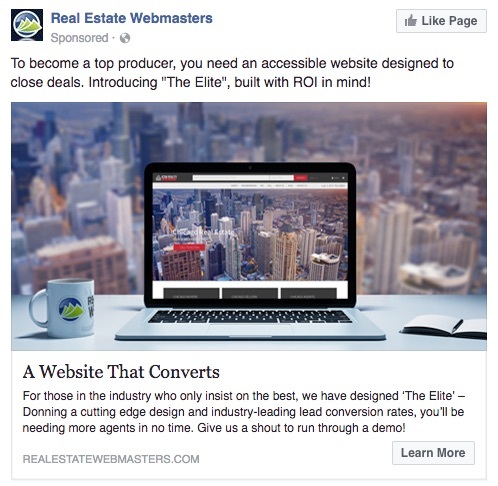 Honest Question: Role of the Website in Real Estate Practice – Notorious R.O.B. I realized I honestly have no idea where a website fits into the transaction lifecycle of a typical agent and how. I think I’ve assumed a good agent website is important but… why? So consider this a call for opinions, experiences, help, statistics, etc. etc. from the Best Informed Audience in real estate. They look at the website for background research, etc. A top producer would likely win the listing, then the magic happens. Website plays no role from this point on in servicing the listing client. Eventually, between the agent and the buyers, they find a house and buy it. Again, the website plays no real role in the transaction. Buyer finds the agent through a portal, then after being contacted, looks up the agent and finds her website and reviews it. Buyer finds the agent through referral, then looks up the agent website to make sure she’s legit. Buyer uses search engines to find a local real estate website and runs across an agent’s website, then uses that website’s IDX search to find a home. At no point in any of this did I think that the website converts leads or closes deals. The agent converts leads and closes deals, but the website really didn’t have anything to do with either activity. The website, in my assumption, either functioned as (a) an online brochureware/business card of sorts telling potential clients that said agent seemed like a professional REALTOR, or (b) in the minority of cases, functioned as a lead generation platform for those few who have very high search engine rankings. Maybe my assumptions are just plain old wrong. Maybe one cannot become a top producing real estate agent in 2017 by simply providing the highest level of customer service, calling on your sphere consistently, and showing up to one’s neighborhood as the real estate expert. Maybe a website that closes deals and converts leads is what you need. How exactly does the website fit into your marketing and the “transaction lifecycle” (that is, from start to finish, from unqualified lead to closed escrow)? If you could be a bit detailed, instead of just saying something like, “I get mad leads from my websitezzzz!” I’d appreciate it. If you are a top producer, what came first? The website or you becoming a top producer? If you are a top producer (say… 50+ transactions annually? ), what percentage of your business comes from your website? Where does the rest of your business come from? If your website went away tomorrow, how much of a hit would you take on your production? I ask because I wonder if we’re not confusing (or website vendors are not trying to confuse) correlation and causation. That is, does a nice website make you a top producer, or do top producers who have made a bundle of cash decide to spend some of it on a nice website? It’s kind of like the idea that selfies make you cool… instead of it being the cool kids with cool lifestyles taking selfies to taunt and dazzle the less cool…. My website came first and made me a Top Producer. In a sense 100% of our business comes from my website. Yes, many buyers and sellers have recommended us to others, but they first found out about us from the website, so that business originated from the website. People find my website, they start using it, they sign up with a verified email address, they go on my monthly email updates plus my auto drip emails. If they leave their phone number we have a lender who calls them to see if they or we can help them. They also see the services we offer buyers and sellers from pages on my website. Eventually, a certain percentage of users contact us and say they are interested in seeing some listings or selling their home. For me the website continues to help as we use it for transaction management so our clients can get an updated timeline at anytime or download one to their calendar, plus it has a ton of help information on it that we refer them to during various parts of the escrow process. Sellers can also track showing feedback through our website. Thank you Bryn! A couple of questions, so me and others can learn a bit more. 1. Your auto drip emails — do they come from the MLS or from your own system? If the latter, how does that work? Get data out of the MLS and then reformat into a more attractive/usable format? 2. “Eventually, a certain percentage of users contact us and say they are interested in seeing some listings or selling their home” — Have you ever asked your clients when/why they ultimately ended up contacting you? I guess I’m curious whether they used the website as a way of checking out a referral from family & friends, or if they didn’t know you at all, found you on the Internet (somehow), spent a bunch of time checking out your marketing materials on the website, then contact you. 3. I assume the transaction management and the seller feedback elements were added on? Most real estate websites I know of don’t have those features out of the box. Did you use a vendor or do it custom coding yourself using developers? Love how you’re using the site, by the way, but it does seem like its primary purpose and benefit is lead generation and “online brochureware”, with some nice add-on features. I launched my website (blog) in 2009 when I first got in the biz. It took 9 months before the first person contacted me telling me “I like what you blog about could you help me find a house?” 8 years later my website gives me about 20% of my business (direct contact through my site), not counting referrals from those clients over the years or a developer who hired me partly because of my website and knowledge portrayed through the site. Counting those it would be more like 40%. I have seen a drop off in the past two years because I got too busy to blog as frequently, but 2017 is my year of rededication to it (and a long-needed redesign!) since I recognize it as a significant part of my business and one that I enjoy doing. People find me primarily through long tail searches since my site is content heavy and google likes its longevity. I never blogged for SEO purposes, only for what I felt would be entertaining or of value. I’m crap with my alt-tags, excerpts and keywords. Currently I have no real estate search or drip campaigns via the site and few CTAs. For reference, I don’t fall into your top producer definition of 50+ per year, but I am currently in the top 100 of about 5000 in the metro area. 16M in 2016, and about 10M in 2015 and 2014. So lead generation then, rather than closing deals? I suppose there’s a strong lead conversion element to your site given your content? Hey Rob – just saw this because I forgot to sign up for follow up comments. I’d say the vast majority of my subscribers are people who just want to learn or look around and are not intent on buying just yet (if even in Charleston). However, the people who DO reach out to me through my website or because of it, are very warm ‘leads’ because they are at least ready to start looking (or ready to sell) and have decided they want to use me, because they feel like they know me already through my writing. It might take a few weeks for them to buy or sell something, or sometimes years! Most “top-of-the-top” producers in my marketplace have, frankly, some of the crappiest, least-accessible, ‘un’-designed websites. While a website can be an important part of success, it’s just one of myriad factors (connections) that result in success. In the end, it’s not the website, but how its used and how its integrated into the connected processes successful agents use to obtain, transact, and retain business. Lots of jargon obfuscating real world activity — SEO for example. Before you commit serious resources to SEO (pick your own definition of what that means from among the too-many ‘out there’), consider this: http://www.internetlivestats.com. Or read a book. One I would recommend (350 pages that does “not” contain the phrase “real estate”) is — “The Content Trap: A Strategist’s Guide to Digital Change,” Bharat Anan. I run a large Keller Williams brokerage and want to see the answers. I have agents who have built a sizable business from their websites, and others who use it as more of an information portal to support the business they receive from referrals. I’m here as a student! What a website can close is the trust cycle. Consumers know what an awesome site looks like and they will gain confidence in an agent with a smart website. Why do many top producers succeed with crappy websites? Because they gain trust from referrals and their names being everywhere. A top producer with a great site? Magical. Sorry for coming to this discussion so late. We have been online since 2003 and have gone through several iterations of our site. It is custom, done by us locally, and includes hundred of pages of original (local) content, a blog and of course IDX which is presented in many different ways to provide just about every level of local search possible. Our site began supporting my wife and I as individual agents at a Franchise, to where it now represents our independent brokerage. Very few local real estate sites can provide a good online experience, let alone support lead generation. This would exclude, of course, those sites that survive simply using Google Ad Words. Stop paying – stop getting visitors. We have always focused on organic search, focusing on the broadest array of search terms. This is a lot of work and not for the faint of heart. We have followed a path similar to what Bryn outlines – almost all of our business ends up being “verified” online. I found it a little amusing your comments about using the MLS for drip campaigns, property mailings, etc. We would never do that kind of thing. Everything we provide to visitors is home grown and tailored to the individual visitor. That is probably why our success rate in moving web visitors from lookers to clients is high. While many people begin their search on a portal, that experience is not always that satisfying. We hear over and over again that they do not trust the portals, they are bombarded by advertising and the local information is non-existent. Almost always, when someone is thinking of moving, they conduct a local search. They are NOT searching with a list of agents they supposedly got from Zillow. They are looking by city or some other feature and find websites they trust. Once a form of some kind is completed, then the online dance begins for real. The vast majority of agents have no need of a website and could not afford (in time and money) to do it right. There are two major issues facing providers of websites and search. One – for how long can all the many website providers who push limited function wordpress – based sites survive? Maybe they will continue to convince the general mass of agents that they need this produce. Two – and this is more important – the level of innovation of by the companies that provide IDX services need to be improved. Sometimes I wonder if they realize just how fragile their overall business is. Less agents need websites, less websites – less need for IDX. I will give a shout out to Morgan Carey. While I don’t know him personally, I am pretty familiar with his product. It is very good and more importantly he gets it. Plus his customers get it. They are constantly looking for ways to excel online. I think across the county there are a group of agents and brokerages fighting the online battle and surviving and in some cases flourishing. We are not the ones just surrendering the online space to the portals. II realize this approach is not for everyone….thankfully.